Color trend for the year… Cobalt! We especially love it when paired with an oh-so-sparkly rhinestone buckle. Congratulations to Allison & Kelly, the lovely couple who inspired this design. Thanks to Shelly from As I See It Photography for forwarding these awesome pics. Recently we had the pleasure of working with Shelly, from As I See It Photography, and Yvette, from Avant-Garde Wedding and Event Planning, to design and produce invitations and coordinating wedding stationery for an antique and eclectic photo shoot. Our thanks goes out to Shelly, for posting these GORGEOUS shots! View all the photo’s on As I See It’s blog post here. 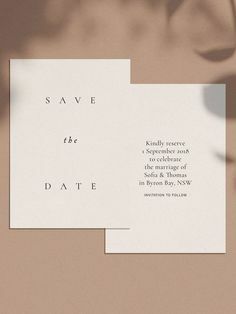 Next time you are invited to a wedding, and plan to give the traditional greeting and gift card, how about personalizing your sentiments with this not-so-typical wedding card? This example uses a 6 x 9 classic Pocket Fold from Envelopments, personalized with the couple’s name and filled with thoughtful gift cards. This example has 5 Envelofolds containing gift cards under the title “Continue the Romance”, with the labels: “Tete a Tete”, “Cook’s night off”, “Cocktails for Two” etc; and is filled with the gift cards to the couple’s favourite places around the city. In case you were wondering what’s been keeping us busy for the last month… it was our biggest job to date, 1200 invitations for the opening of the Lynden Pindling International Airport US Departures Terminal in Nassau Bahamas! The whole process started last November while we were in Bahamas for the Wedding Professionals Conference, where we met the lovely ladies of Island Destination Services. IDS, specifically Lonise and Tonika, was a blast to work with, and with them we created fantastic, personalized, gold foiled, leather-box bound passport invitations. Along with the invitations, Plush also had the pleasure to produce boarding pass style programs and branded boarding pass sleeves. Our favourite part of the whole process… flying down to the Bahamas to personally deliver the final product! The event was a high profile gala, with many Bahamian dignitaries and celebrities on the guest list. Looks like the evening was a success, capped off with a special surprise performance by Lenny Kravitz! Ahhh… can’t wait to go back!